Mercedes C-Class C63 S 2dr 9G-Tronic 2019 Review | What Car? The S package is not just about straight-line speed. 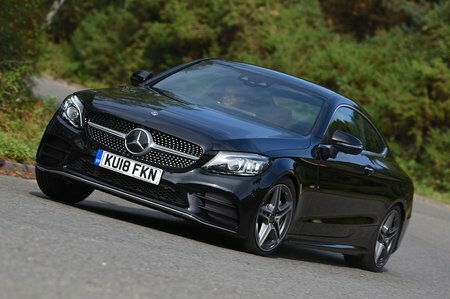 You’re also treated to an electronic limited-slip differential that makes the car less snappy and more predictable at the limit, larger brake discs that are less prone to overheating, beautiful 19in alloy wheels and supremely supportive, AMG performance front seats. Factor in competitive dealer discounts and the S version begins to look comparatively much better value for money, and would be our choice. This 503bhp V8 S model is the one to go for. After all, you get bigger brakes and an electronic differential to go with the added power, which adds up to one of the most entertaining performance models on sale.